Transmedia Storytelling is a technique that utilises many digital platforms in order to tell a story which includes written word, film, games and social media. This technique encourages audience involvement and often uses the audience to drive the story forward with the idea that ‘mixing the power of video games and social media into a narrative allows for a transformed reading experience.’ The idea is to create stories that aren’t based on specific plots or characters but rather on complex fictional worlds. Many recent transmedia marketing campaigns have been really successful, in particular the campaign for the blockbuster hit, The Dark Knight. They used posters to peak interest about the plot lines and also as competitions to unlock online previews and trailers. But can this be applied successfully to literary storytelling? Fantasy books often already use this kind of format for example, The Hobbit originally used maps and other texts which to provide details for elements of the primary text. 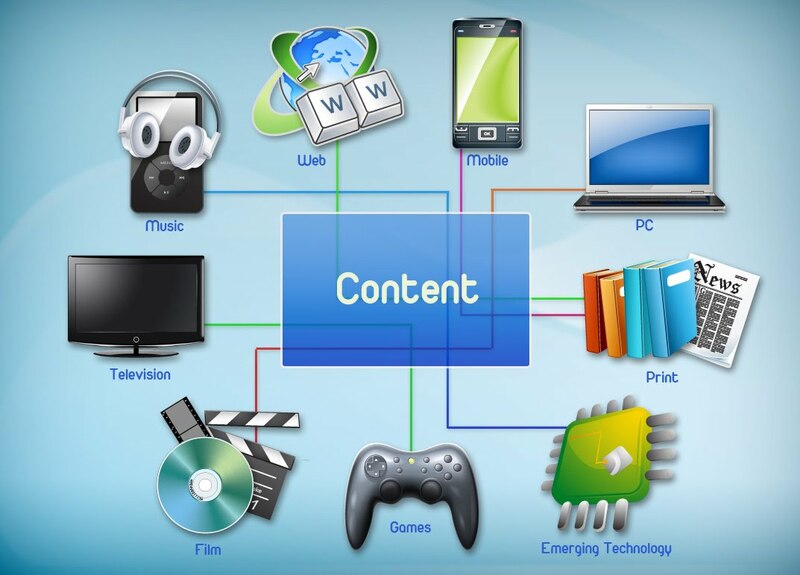 With digital platforms this kind of content has become more advanced with interactive maps and online communities where people can share knowledge with other enthusiasts. I think the idea of creating transmedia stories is really exciting but I believe the emphasis on casual gaming is (despite Wieds claim) diminishing the traditional narrative and rather than enhancing powerful narratives dilutes them into mindless gaming. For franchises like Harry Potter, The Hobbit and Twilight this kind of gaming might be interesting to audiences who know the story worlds so well already. However, I don’t believe it would work so well with new titles. Julian McCrea recently released The Craftsman an immersive iPad thriller that follows you into the real world. You are a character in the drama who can ‘sign online petitions on fictitious websites and receive cryptic messages on your mobile phone from other characters, while the events you attend in the story pop up in your real-life calendar, as the app’s creators attempt to “bleed” the story into your everyday life.’ This is an example of transmedia storytelling that I think works really well, it gives the power to the reader and creates a world around the story, enhancing plot lines but also prompting the audience to pick the book back up and complete the story. 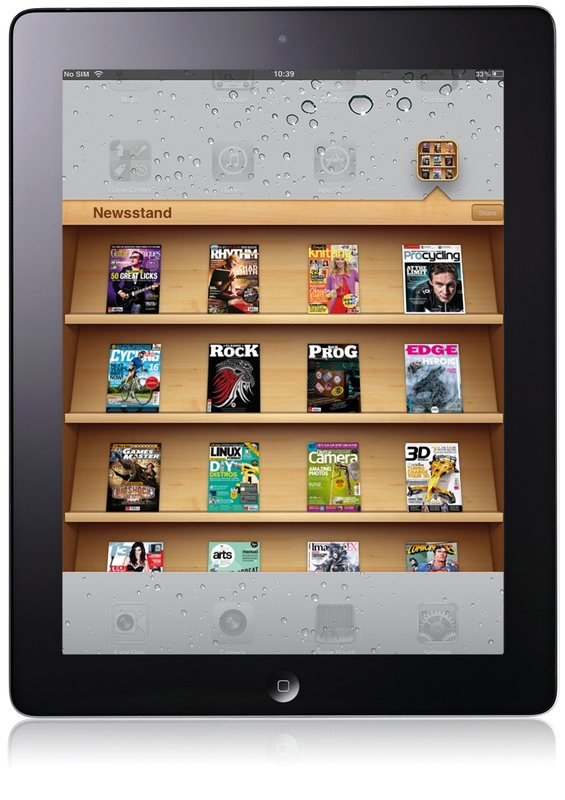 Digital Magazines – To app or not to app? There was big debate in the milk. magazine team when creating our digital mini-issue over whether we needed to include video and interactive content. We decided that the most exciting publication would be an interactive one with links to our website and video content. Many readers now expect more from their publication due to use of apps and increasing access to video content. Many publications now use a range of different platforms to provide their audiences with new content, one of which is tablet based apps. However, not everyone is in favour of the magazine app. Jon Lund in GigaOM has recently declared tablet magazines a failure, he argues that “dedicated magazine apps for tablets may look good, but I fear they’re headed straight to oblivion.” He goes on to state that he believes new publications need to be presented “openly, socially, in flow — not in closed tablet apps.” I believe he is right, that new solely tablet based magazines are doomed but publications (whether it online or in print) with a decent following could certainly benefit by having an app or interactive digital magazine that provides exciting well crafted content in a dedicated space on tablets or phones, which are quickly becoming household appliances. Mollie Makes is an example of a publication which uses various platforms to their advantage, with a beautiful print magazine, a great website, a regularly updated blog with tutorials, a great social media network and also a well designed digital weekly magazine, Gathered which is available on the Apple Newsstand for download to iPhone or iPad. This magazine is a great example of how digital products can enhance print magazines and provide followers with more than can be offered with a print publication. Lund argues that digital magazine apps lack connections to social media sites and the digital magazines are not meeting customers where they are. Sam Kirkland from poynter.org responds to Lund’s argument and states “the strongest media brands can meet readers everywhere; they don’t have to choose between having a website and having an app.” This much is certainly true for a lot of publications, his example being The Atlantic who have introduced their app The Atlantic Weekly, which is a condensed version of the best news stories with added interactive content. The Atlantic and Mollie Makes are both examples of how publications with strong followings can use apps to their advantage, not to stand alone but to add something to their existing print publication. Both brands meet their followers wherever they want to find them, whether it be on the web, on social networking sites, in print, or through digital apps. Hearst magazines UK used an in-app survey in digital editions of Harper’s Bazaar, Men’s Health, Red, Elle, Cosmopolitan and Esquire to question around 500 readers on their reading preferences for digital editions. The digital editions used were enhanced editions, re-designed for tablets and phones, rather than digital versions of print magazines created from their PDF files. Nearly half of those questioned (45.7%) claimed that they intend to buy a mixture of print and digital issues in future. This shows that readers want more than just a print publication and that they are interested in enhanced editions. With the print industry in a state of decline due to digital alternatives, the future of the book is a key question in the publishing world. It’s clear that e-readers like Kindle and iPad are desperately trying to convince their readers that they are reading a real book that can be purchased and displayed on your bookshelf despite the fact that digital publications can offer more than the words on the page (or should I say screen!). Amazon claim that on their latest e-reader, “the pages are virtually indistinguishable from a physical book.” And the value of ‘the page turn effect’ was highlighted last month when Apple were awarded a patent for the feature. Book covers are still commissioned and sometimes specially designed for E-books despite the fact that they no longer hold their previous influence over the customer in search of their latest read. In a similar fashion to books, Vinyl is not as digitally advanced, (nor does it offer bonus features like music video) as digital downloads are, but it continues to be created and coveted by people who love music and the physicality that Vinyl offers. Maybe the same thing is happening to printed books and magazines? There is an increasing amount of beautifully created books and magazines that I believe will always peak the interests of those that love them. Craft and individuality has become a more prominent feature of the internet with websites like etsy.com and notonthehighstreet.com promoting limited edition and hand crafted products over mass produced high street items. Statistics on infographicjournal.com state that at the beginning of 2013 hardcover book sales were up by 10%, this shows the continuing interest in beautifully produced books. A recent article in New York Magazine shows that “The idea of starting a (non-digital) magazine in this day and age seems downright insane. And yet, for those keeping score at the newsstand, dozens upon dozens of them have sprung up in the past few years.” Magazines about niche topics, beautifully designed with a strong following of readers continue to be published and continue to be successful. The same can be said for books, a recent post on buzzfeed.com: ‘awesomely designed books from 2013 that prove print isn’t dead‘ was a great overview of the beautiful books that are still being produced and admired. More and more books are offering something special like, letters, fold out sections and maps which make the reading experience more interactive. Although digital publications can offer us superior multi-media excitement they cannot offer the physical attributes that make books and magazines covetable and collectable. Reports show that E-books have not cracked 25% of the market and growth has dropped, it appears that print and digital may be able to coexist, each offering a different and equally valuable experience. I have recently developed a digital mini-magazine called mini-milk, for milk magazine. It is a newsletter type publication which has been posted to social media websites and will be sent round our mailing list. It is a purely digital publication intended to link back and peak interest for our magazine website. You can read about some of the issues I faced and the reason for the two different versions on my blog post: In search of an Interactive Digital Publishing Platform. Below is the Issuu version which has a limited amount of multi-media interactivity as it does not support video content. Unfortunately I was no able to embed the Joomag version but you may click this link to view the multi-media version of the mini-issue. Digital magazine distribution has been a key topic of conversation at milk magazine HQ in anticipation of the release of our new mini-issue: mini-milk. My idea for the mini-issue was for it to act as a marketing tool for our website and almost act like a newsletter to peak interest and link back to our website milkonline.org.uk. I wanted it to be interactive and exciting and therefore needed to find a digital publishing platform that allowed me to embed video and share on social networking sites. We are currently using Issuu which was a great way to embed our print issue onto our website in order to showcase it but unfortunately they are still working on allowing embedding video. This was a shame as Issuu is very slick and easy to use, you simply load a PDF and Issuu creates a slick looking flip book of your magazine that you can embed into social media sites and simply flick through either in the post or enlarge it for a closer look. Because we wanted video, we settled on using Joomag which not only lets you upload your PDF it then lets you embed video in their online editor. This was a great feature although still felt rather clunky and the finish was nowhere near as slick as Issuu but the interactivity more than made up for this. The biggest problem with Joomag was that we had to pay a subscription in order for people to view it on mobile devices which includes iPad as well as phones etc. This was a great shame and actually prompted us to send out an Issuu version without the video just so that more people were able to view it as a great deal of people use social media on the move. This exercise has highlighted the lack of easy to use, affordable digital publishing platforms that provide interactive features and also a slick finish. One platform I was particularly impressed by was the Adobe digital publishing software which creates high quality magazines with a great deal of interactivity, as seen in the video below. Adobe gives designers lots of flexibility in adding interactive features when moving content from print to digital. But this, as you can imagine, is very expensive and smaller publications are unable to meet these kind of prices. Digital publishing gives us the chance to create exciting new multi-media publications therefore, software like this is invaluable to any publication but there is yet to be a piece of software that is as impressive as the Adobe software but also affordable for smaller publications. The increased use of tablets and decline of print sales show that more and more people are reading digital versions of books. This allows the book industry an exciting new opportunity to create digitally enhanced versions of texts which can be educational and entertaining. However, for most publishers and in most cases, enhanced ebooks – with added features like video, audio, interactivity and more – haven’t really taken off and many have already claimed that enhanced ebooks are already dead. But with the amount of recent successful enhanced ebooks, apps and games, there is clearly a call for something more than the current version of an ebook. Kate Pullinger thinks ebooks are “not a very good copy” of print books: a “transitional technology” that will be “more webby” in future. And with organisations springing up like The Book App Alliance (a new association that seeks to educate parents and teachers about how to find and use quality digital book apps) helping to strengthen the quality of book apps and also promote the best of them, it seems that enhanced ebooks are far from dying. In 2009, Dan Franklin, digital publisher at Random House, produced The Death of Bunny Munro which was one of the first literary apps that featured videos of its author, Nick Cave, reading the novel. “Saying the enhanced ebook was dead was a little like saying that a child would never learn to walk because when it started to walk it fell over a few times,” Franklin says. The Death of Bunny Munro is an example of an app that works, basically an integrated ebook and audio book but it works, the text is not interrupted but it gives you something more. The Jack Kerouac On The Road app is another great example, the app offers the same kind of illuminations that melville house add to their print books but all the information is contained in a beautifully designed app. “There are some things have been done that readers don’t want or need,” thinks Henry Volans, head of digital publishing at Faber, “but probably some of that is necessary for people to experiment.” He says it is “when something is too much a hybrid that people get confused”. He uses the example of the failed enhanced version of John Buchan’s popular detective novel The 39 Steps. Having played this app I found that it turned a short, exciting novel into a mundane series of useless tasks that added nothing to the storyline but left me feeling bored. They failed to capture the excitement behind the original text and rather than adding to the story, they made it confusing and slow. However, Faber have also produced one of the best literary apps I have seen to date of T.S Eliot’s The Wasteland. The Wasteland app has been an outstanding success and it is clear why, the app provides annotated text, original manuscripts, audio recordings of Eliot and others reading the poem, performances and more. The enhanced ebook is far from dying, there are many exciting things to come but publishers need to understand what readers want from their text and produce exciting products that reflect this.